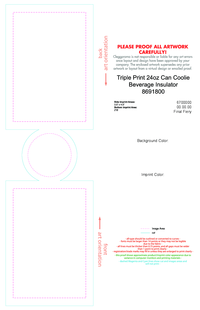 Triple Print 24 oz Can Coolie Beverage Insulator - USA Made - Black, White, Orange - PMS 021, Forest - PMS 560, Yellow - PMS 101, Lime - PMS 7488, Navy - PMS 289, Royal - PMS 661, Neon Blue - PMS 299,TX Orange - PMS 159, Khaki - PMS 7500, Turquoise - PMS 3282, Carolina Blue - PMS 278, Magenta - PMS 241, Pastel Pink Triple Print 24 oz Can Coolie Beverage Insulator - USA Made - Purple - PMS Violet,Kelly Green - PMS 348, Chocolate - PMS 476, Neon Pink - PMS 806, Red - PMS 200, Burgundy - PMS 518, Crimson - PMS 7434, Tan Camo, Green Camo, Grey - Cool Grey 3 Triple Print 24 oz Can Coolie Beverage Insulator - USA Made - *Natural color variances are normal and all PMS colors are approximate. Exact PMS matching for materials is not possible. string(255) "Black, White, Orange - PMS 021, Forest - PMS 560, Yellow - PMS 101, Lime - PMS 7488, Navy - PMS 289, Royal - PMS 661, Neon Blue - PMS 299,TX Orange - PMS 159, Khaki - PMS 7500, Turquoise - PMS 3282, Carolina Blue - PMS 278, Magenta - PMS 241, Pastel Pink "
string(180) "Purple - PMS Violet,Kelly Green - PMS 348, Chocolate - PMS 476, Neon Pink - PMS 806, Red - PMS 200, Burgundy - PMS 518, Crimson - PMS 7434, Tan Camo, Green Camo, Grey - Cool Grey 3"
string(44) "Front/Back: 3.5" x 4.5"; Bottom: 2" diameter"
string(57) "1 color logo on both sides & bottom - no special pricing." Black, White, Orange - PMS 021, Forest - PMS 560, Yellow - PMS 101, Lime - PMS 7488, Navy - PMS 289, Royal - PMS 661, Neon Blue - PMS 299,TX Orange - PMS 159, Khaki - PMS 7500, Turquoise - PMS 3282, Carolina Blue - PMS 278, Magenta - PMS 241, Pastel Pink ,Purple - PMS Violet,Kelly Green - PMS 348, Chocolate - PMS 476, Neon Pink - PMS 806, Red - PMS 200, Burgundy - PMS 518, Crimson - PMS 7434, Tan Camo, Green Camo, Grey - Cool Grey 3,*Natural color variances are normal and all PMS colors are approximate. Exact PMS matching for materials is not possible. 1 color logo on both sides & bottom - no special pricing.